The first work we do in every community is a baseline survey, gathering data and stories from families, students, and teachers. 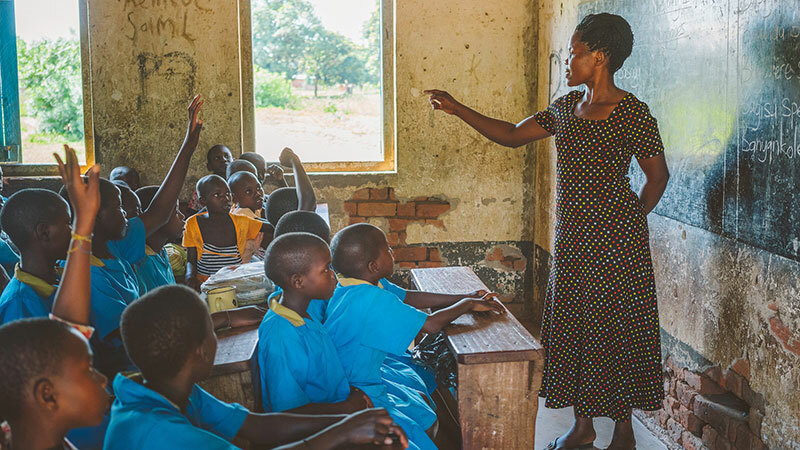 Our baseline report provides detailed analysis of current WASH (water access, sanitation, and hygiene) knowledge and facilities, helping us adapt our program and providing a measure for success. 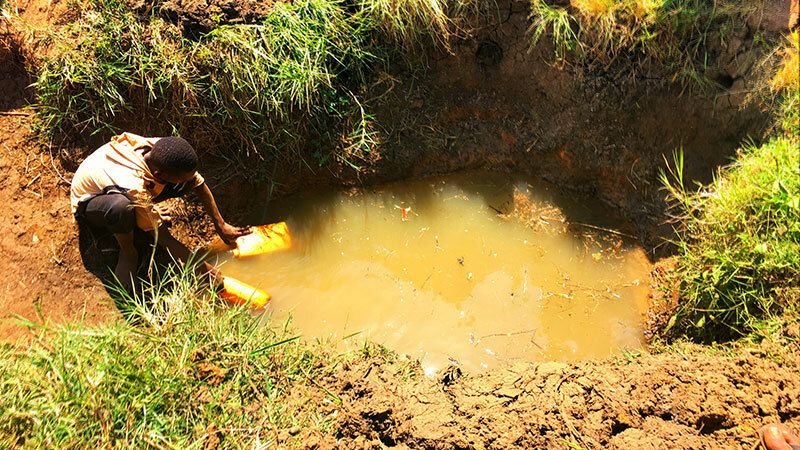 The Mayuge, Uganda water baseline report is revealing: people are suffering from lack of safe water, sanitation, and hygiene, and many do not understand the connection between WASH and health. Children in particular experience a high rate of water-related diseases and miss a lot of school. While the water coverage rate may be relatively high, many of the water points need repair, and deficiencies in sanitation and hygiene knowledge are keeping the families of Mayuge from realizing good health. Only 4% of the population has access to a fully functional water source. While most people have access to a borehole or well (often unprotected), many still collect water from streams or lakes. The average journey to collect safe water takes 2 hours, and the burden of carrying water falls mostly on women and children. Only 2% of households have a place to wash hands with soap (or ash) and water, while only 38% knew that handwashing helps to prevent diarrhea. One in five children under the age of 5 in Mayuge has had diarrhea in the past week. Diarrhea is a leading cause of death for young children worldwide. On average, children missed 2 of the last 10 days of school because of illness, and families reported making 2 trips to a medical facility in the past months to treat illnesses. Animist tradition is still alive in Mayuge. Of the 85 religious institutions in the area, 47% are shrines. In the community of Kityerera, 46% of regular religious attendance is at local mosques. People believe God cares. 85% of respondents believe God cares deeply about them and their families.